Let us not forget the great community organizers amongst the founding fathers. Chief amongst them, George Washington… remembered today for his historic trade of five Hessian commanders to retrieve Benedict Arnold. 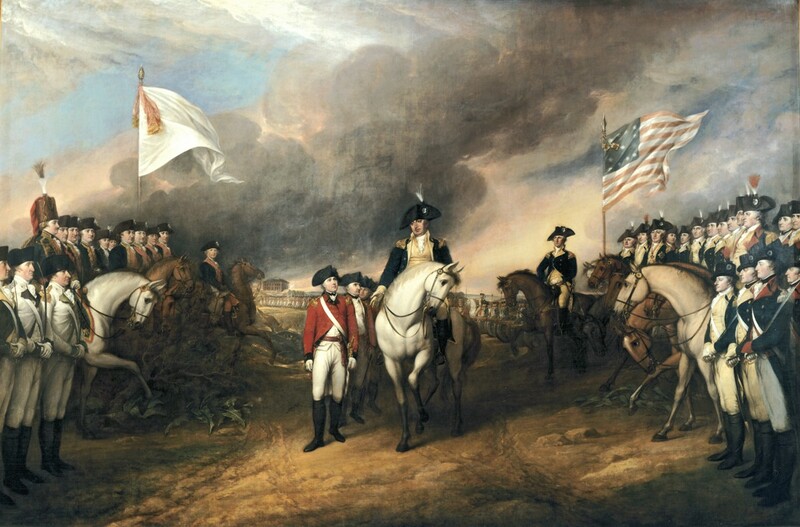 Pictured: Washington bravely trades 5 Hessian leaders to save Benedict Arnold. Washington subsequently honored Arnold in a ceremony at the White House Rose Garden, which confused many since the White House did not yet exist. Though his soldiers persisted in pointing out Arnold had defected to the British and Washington had previously stated he would not negotiate with Hessians, he boldly refused to be swayed by their negativity. Arnold was subsequently given multiple promotions and all back pay he’d missed while in Great Britain. This was unfortunate for him, as he was hung by redcoats after Washington lost the war. As they now say in DC… God Save the Queen.